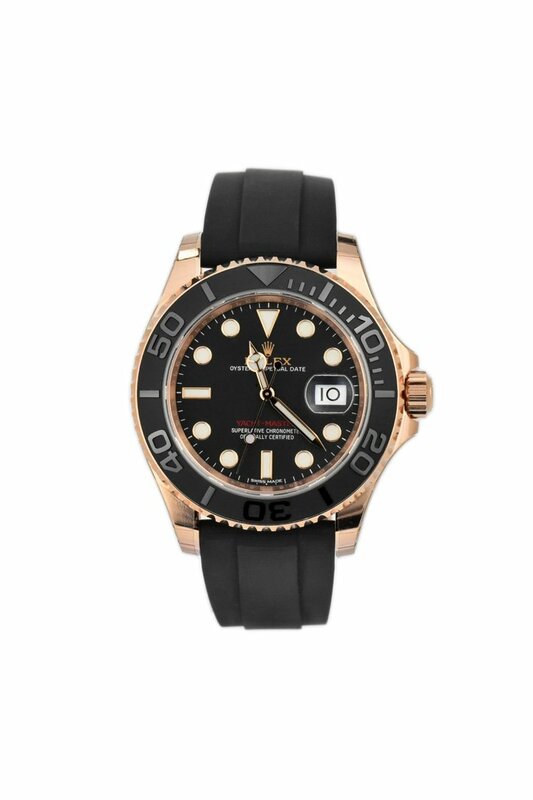 40mm 18K Everose gold case, screw-down crown, bidirectional rotatable bezel with matt black Cerachrom insert containing polished raised numerals and graduations, scratch-resistant sapphire crystal with cyclops lens over the date and double anti-reflective coating, matt black dial, pink gold applied hour markers with Chromalight luminescence, Rolex calibre 3135 automatic movement, approximately 48 hours of power reserve, matt black Oyster Flex bracelet made from metal blades overmolded with high-performance elastomer to provide supple comfort similar to rubber but with the resistance of metal, 18K Everose gold Oysterlock folding safety buckle. Waterproof to 100 meters. 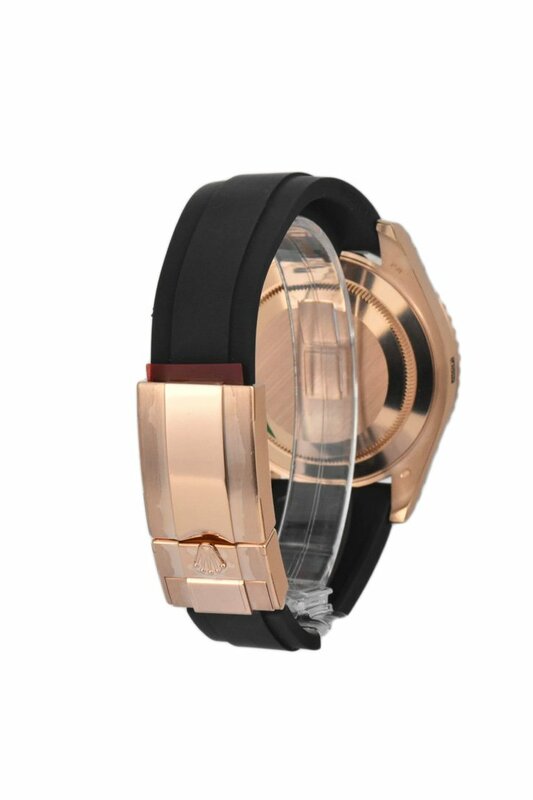 40mm 18K Everose gold case, screw-down crown, bidirectional rotatable bezel with matt black Cerachrom insert containing polished raised numerals and graduations, scratch-resistant sapphire crystal with cyclops lens over the date and double anti-reflective coating, matt black dial, pink gold applied hour markers with Chromalight luminescence. 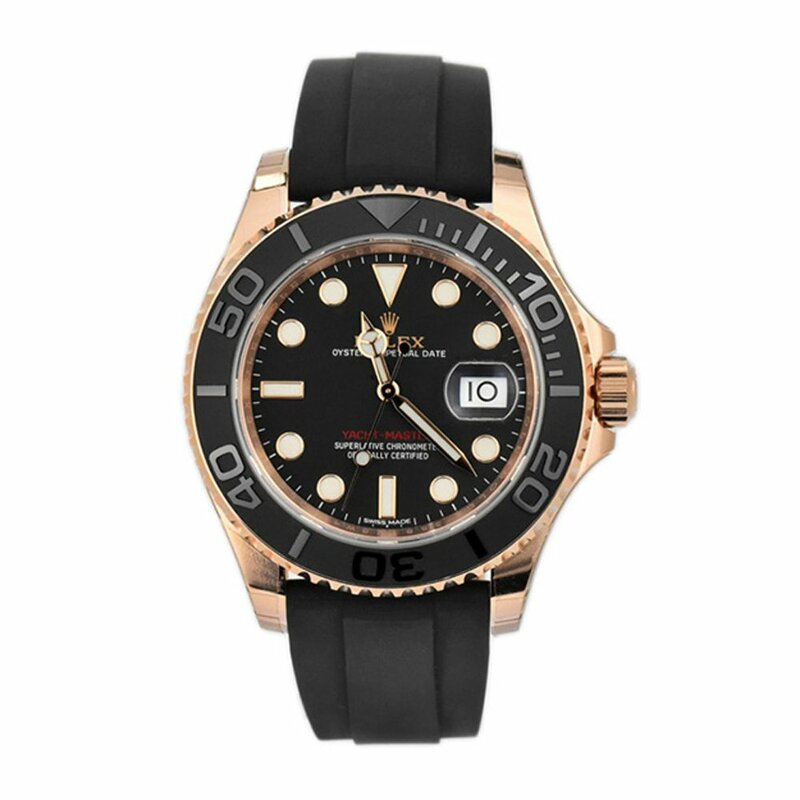 Rolex calibre 3135 automatic movement, approximately 48 hours of power reserve, matt black Oyster Flex bracelet made from metal blades overmolded with high-performance elastomer to provide supple comfort similar to rubber but with the resistance of metal, 18K Everose gold Oysterlock folding safety buckle. Waterproof to 100 meters.